Like a comfortable old pair of slippers, some places just wrap themselves around you when you walk through the door. This has always been true of the red-brick Newcastle High School building on Tankerville Terrace. When we left our building in July 2014, the only thing on our minds was change. Areas of the school were viewed for ‘one-last-time’, the prevailing thought being one of uncertainty: what would survive and what would not? What I do know is that the person-I-was-then would have been astounded to learn that, nearly two years further on, the south doorway would still look as it does in the shot above. ‘If it ain’t broke, don’t fix it!’, I guess. The adjustments to the Art corridor are all in the roof space. Of course there have been changes, but, very similar to the scene in ‘Raiders of the Lost Ark’ where the Ark of the Covenant is opened up with Indiana Jones tied to a stake with his eyes tight shut, after a period of great upheaval, many things ended up in the same place. As you can see from Giuseppe’s photos of the Old Building interior at this time, the changes are just down to fixtures and fittings really. 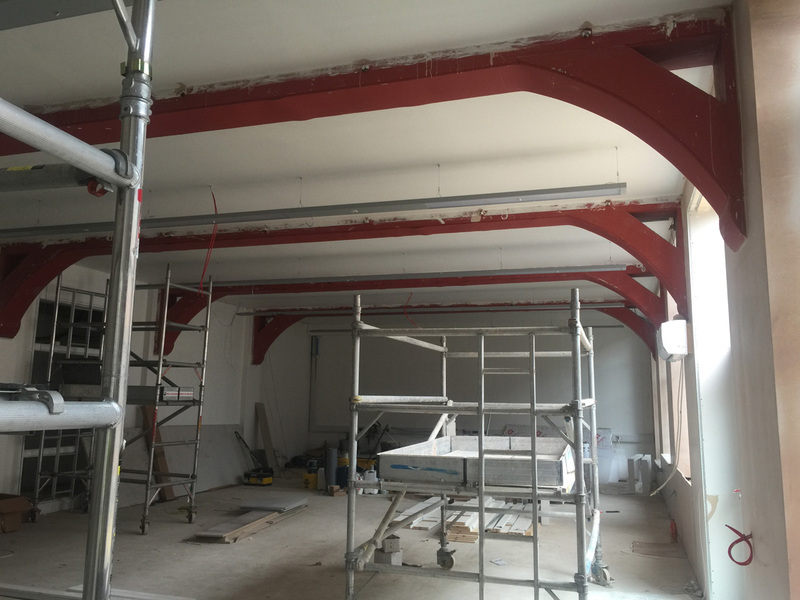 As we already know, the Learning Resources Centre suffered most, but even by June 2016 the roof beams were still red. 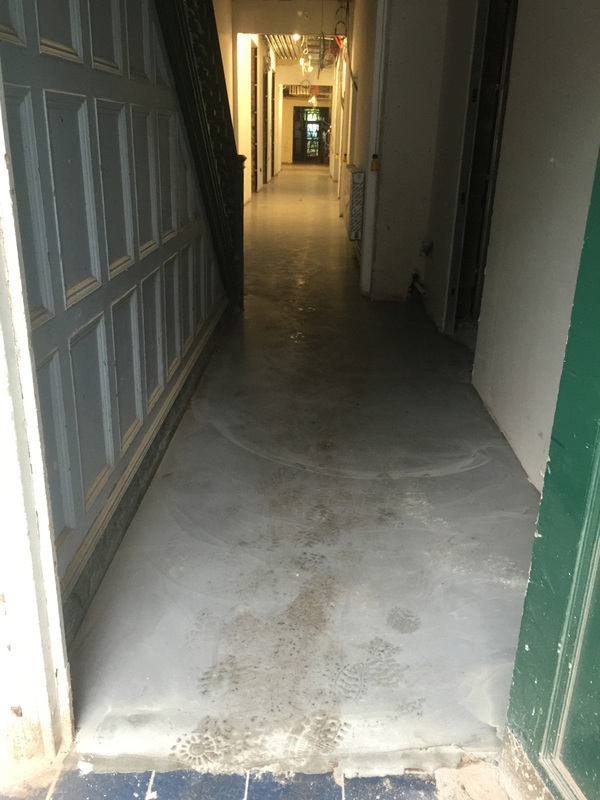 At the north end of the bottom corridor, a new side door has been installed, but we now know this was a feature of the original design. 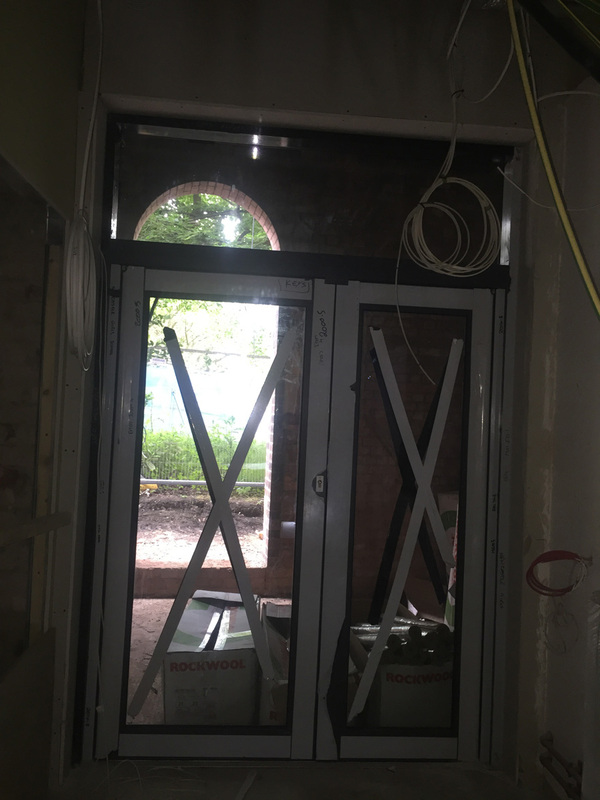 The new glass side entrance door from inside. 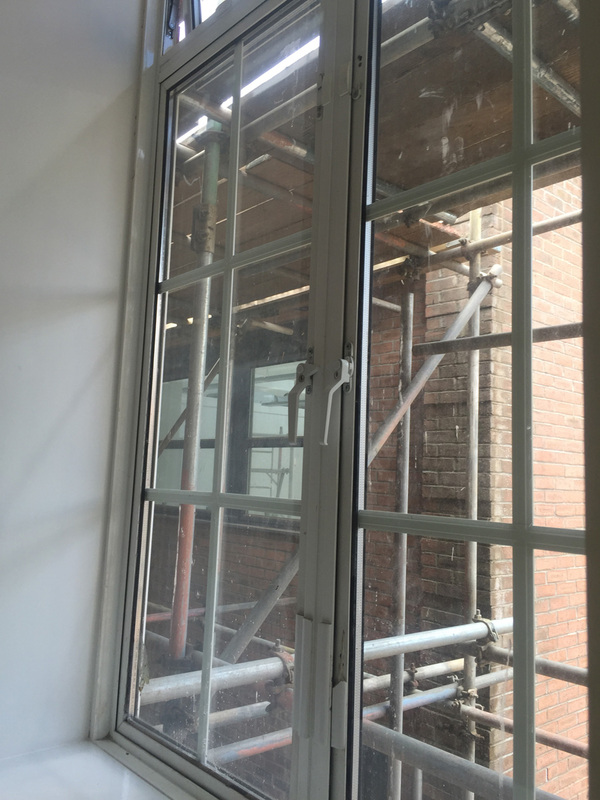 In some rooms, other than the strip back and plaster re-skim, the renovation work amounted to little more than new window handles. 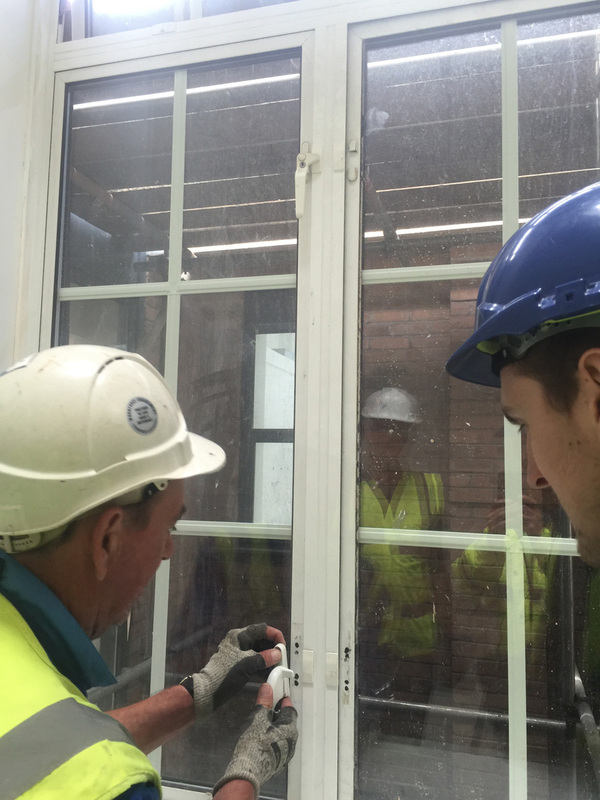 The end Geography room is treated to some new window handles by Wates’ Gavin Watson (right), who you’ll meet again later in this tale. And Boiler Rooms tend to have boilers in them. 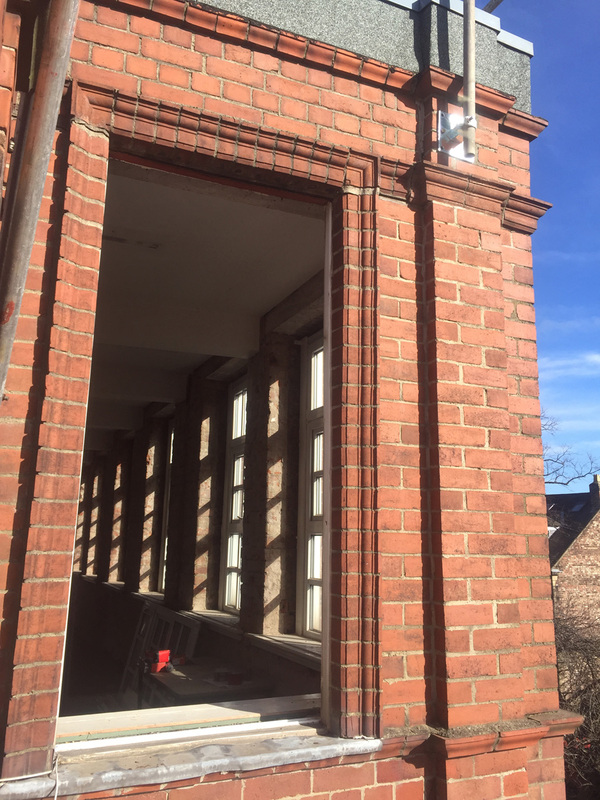 We know from the local press article ‘New High School for Newcastle’ (most likely from The Newcastle Courant) that when the Newcastle High building first opened, the heating system was state-of-the-art. The Description of the Building describes ‘the addition of hot water pipes and coils, the latter being so arranged in each class-room as to warm a large volume of incoming fresh air. Each room has a separate system of pipes provided with a valve, so that the heating power will entirely be at the control of the teacher.’ From the same early news article we also learn that the building contract was let to Messrs Haswell & Waugh of Gateshead. 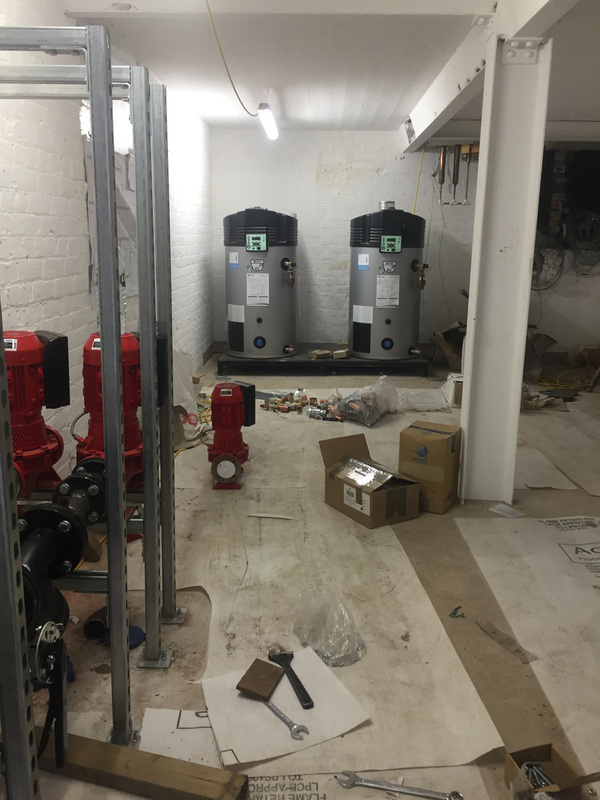 The new NHSG heating system in the process of being installed at this point, I am reliably told, is also state-of-the-art for the C21st. 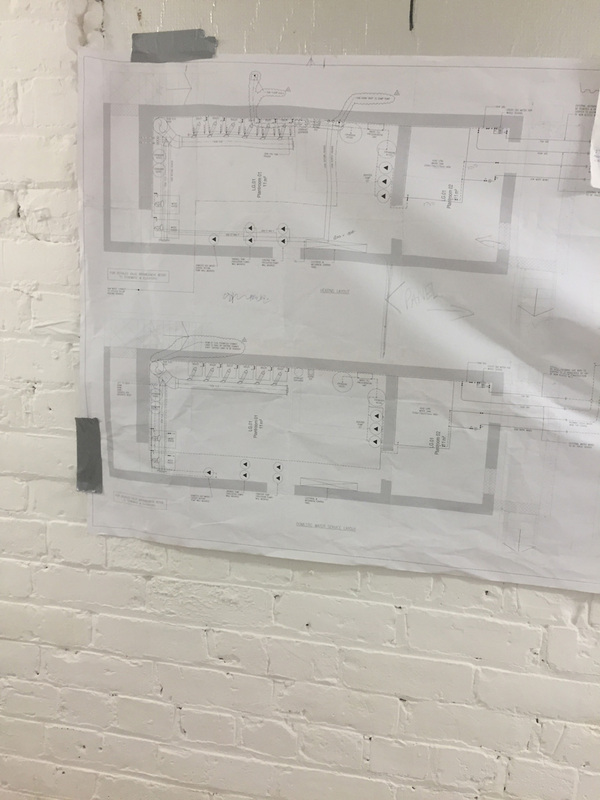 The plans for the Heating Layout (above) and Domestic Water Layout (below) were taped onto the newly-white-washed 1935 Boiler House wall for ease of reference. 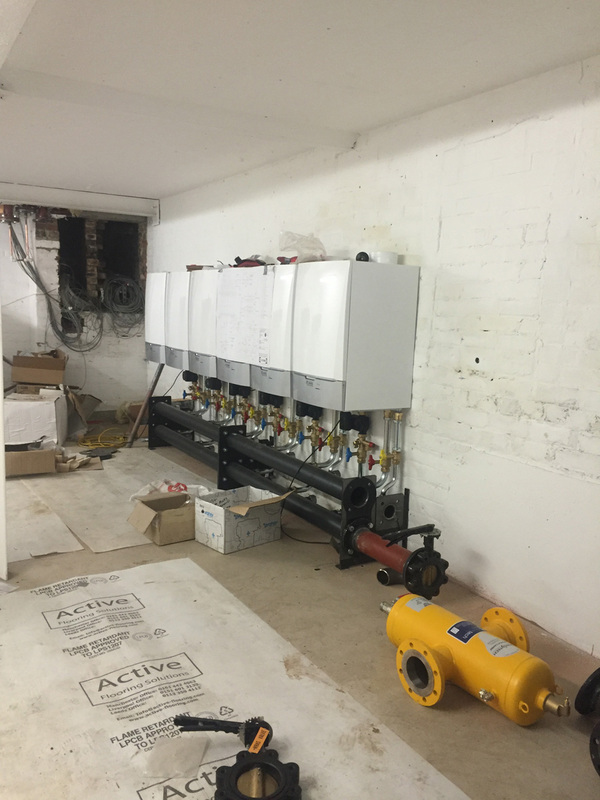 As the men kept telling me, the new heating system is powered by no fewer than 6 boilers! The original hot water system was installed by Dinning and Cooke. 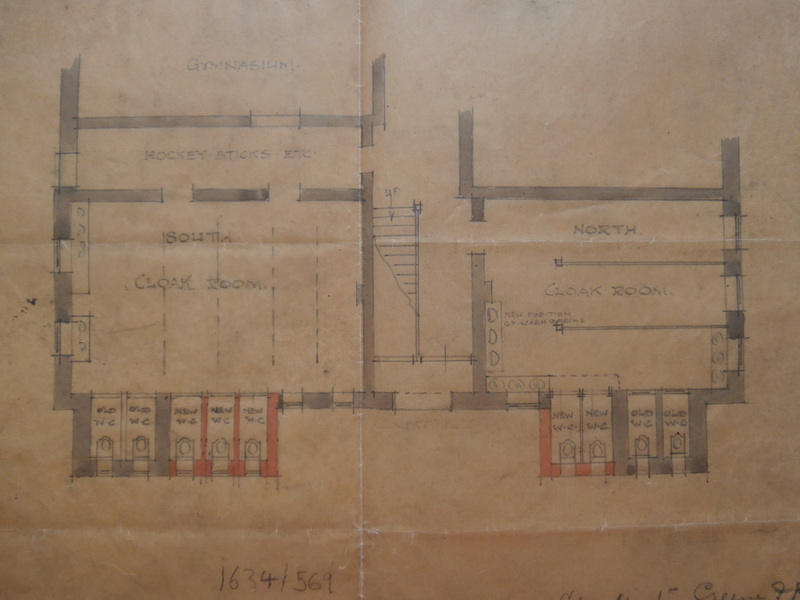 The old plans are accessible for viewing via Tyne & Wear Archives. They are really fascinating. I intend to explore them in a future post on the old Victorian Heating, but here’s a sneak view of the layout. 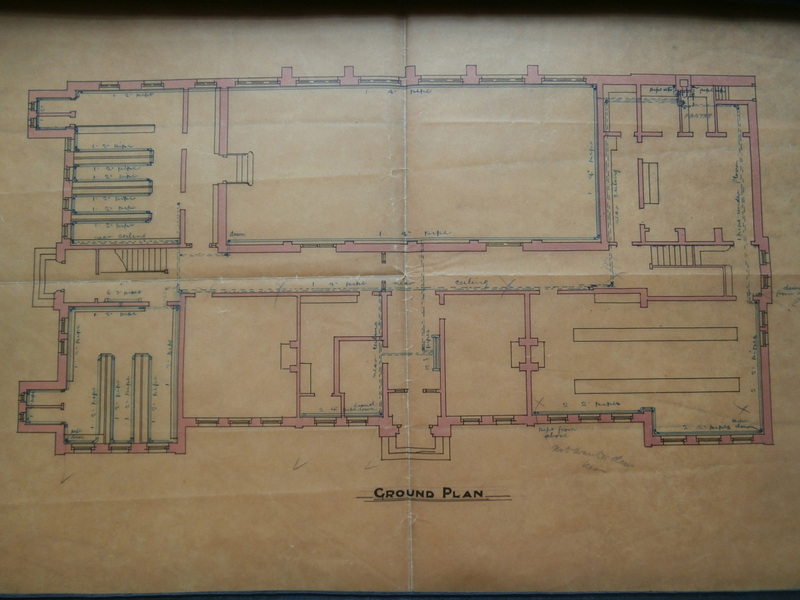 Dinning & Cooke’s 1889 Ground Floor Heating plan for Newcastle High School (Image: Tyne & Wear Archives). 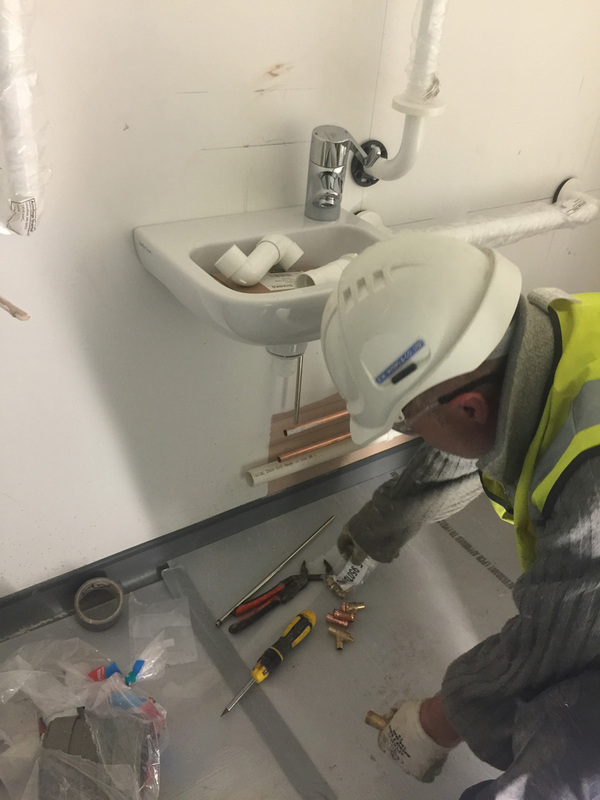 All buildings need toilets, of course, requiring a different kind of pipework. 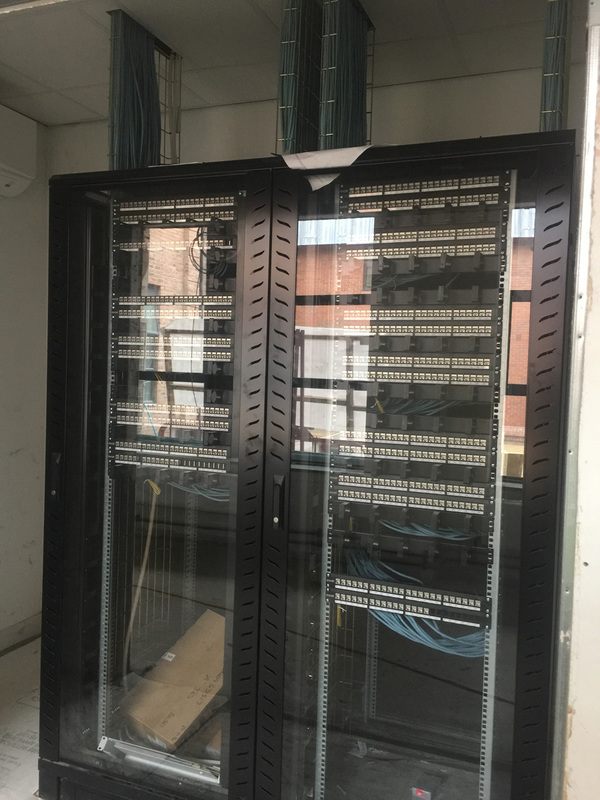 In June, these were being installed all over the building. 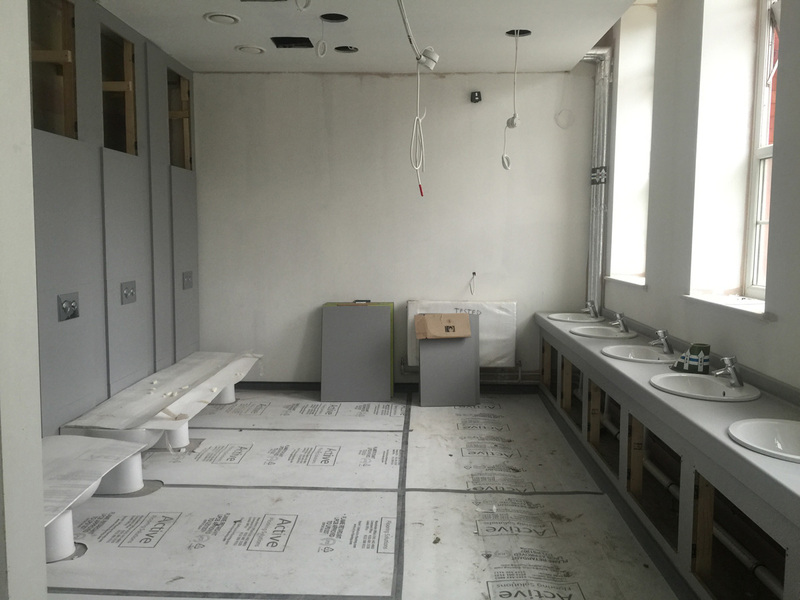 The Office of the original Newcastle High School, which backed onto the Mistresses’ Private Cloak Room, is now being used as Staff/Visitor Toilets. 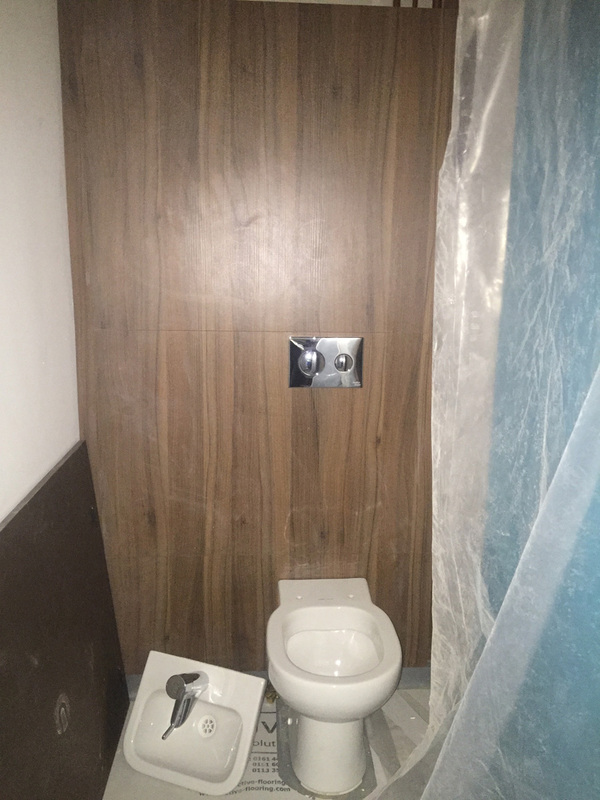 Each cubicle has a wood-effect back wall. 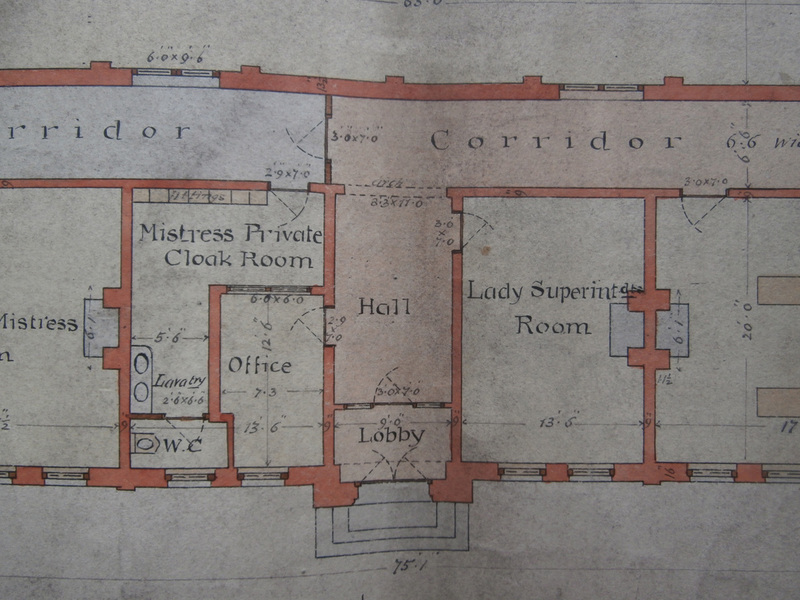 Oliver & Leeson’s 1889 Ground Floor plan for Newcastle High School shows the Mistresses’ Cloak Room to the left of the Main Entrance (above: T&W Archives). The NHSG Staff Toilets door is now in exactly the same place today. Each cubicle has a wood-effect back wall and a teal blue door (below). 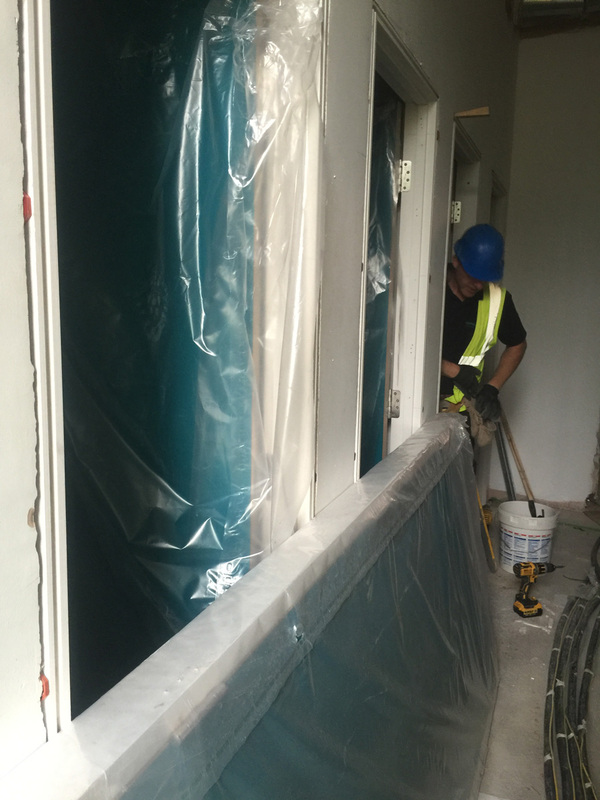 A teal blue door is being fitted to every toilet cubicle in the building . Although at this point in time, the Girls’ Cloakroom in the Old Building, still in the same place as always, didn’t have any cubicles as yet. The Girls’ Cloakroom is still in the same place as it was before (above). Why bother to change all the piping? There have been toilets in this area of the building since 1889, when it was known as the North Cloakroom (below: T&W Archives). 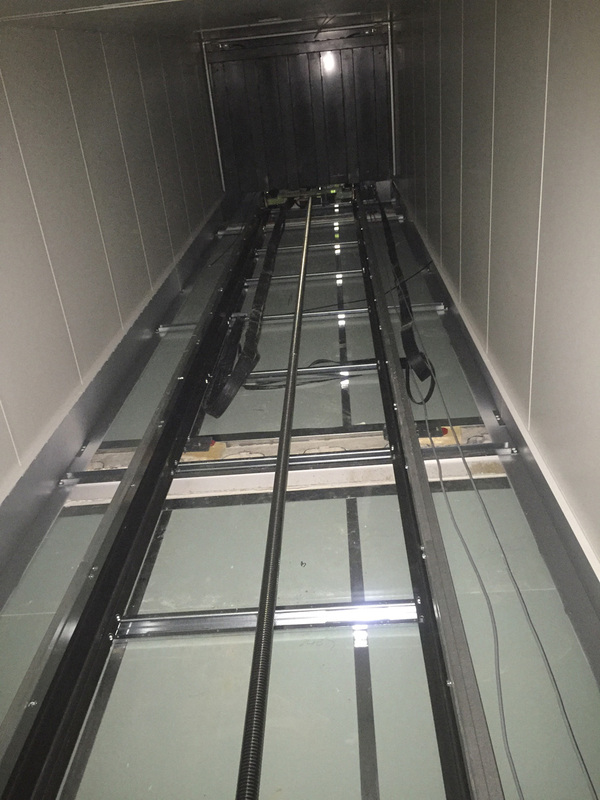 There was a pulley-lift in the original Newcastle High School building, as I have explained before, although it wasn’t designed to carry people. 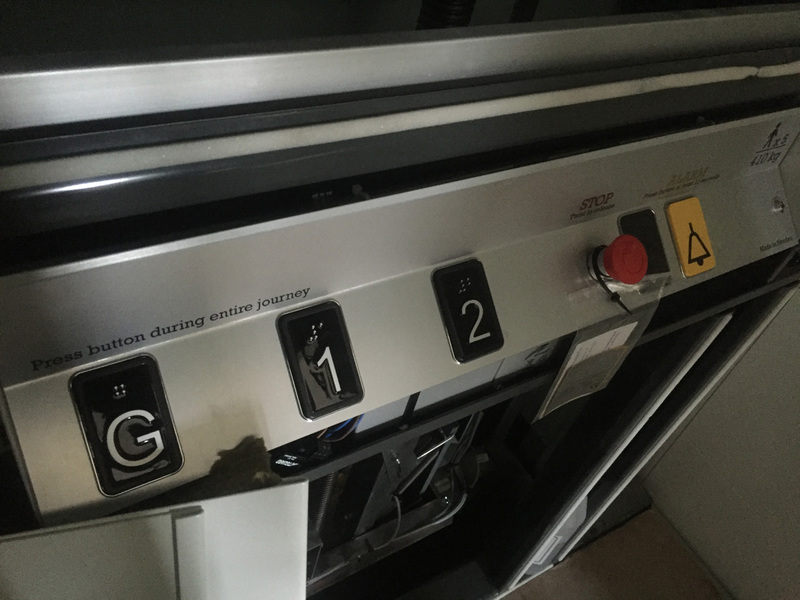 The modern platform-lift will do this now, but only if you keep your finger pressed down on the button for the full journey. The NHS building now has a lift for people. A comms cabinet would have been alien to Oliver & Leeson, but they were a familiar feature of the Church High building we left in 2014, of course. There were three of them, you may recall. One was in the LRC by the entrance stairs, another wall-mounted in the ICT Suite and the other in Mr Farrell’s IT Manager’s Office. 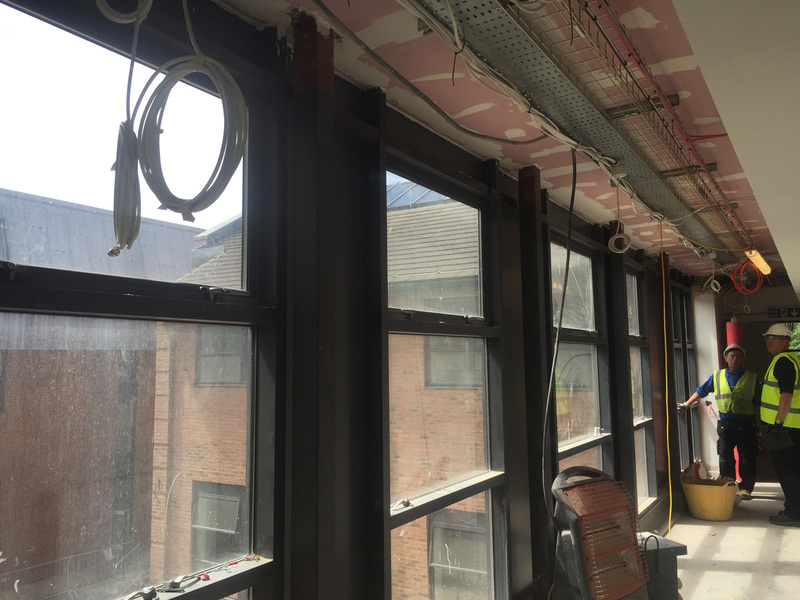 Only the first was on the ground floor, which is where the new comms cabinet is now – very close to where Mr Hearfield’s Catering Office used to be. 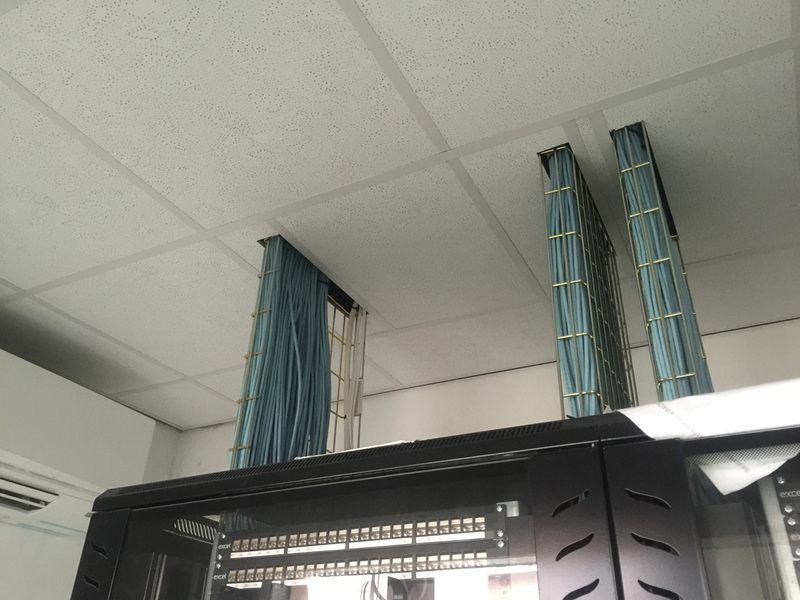 All blue Cat6 cables in the school lead to the comms cabinet on the north-west corridor of the Old Building Ground Floor. The Church High ICT Suite (previously the Library) has now been converted into two teaching classrooms. The image below shows the décor in Room 31. 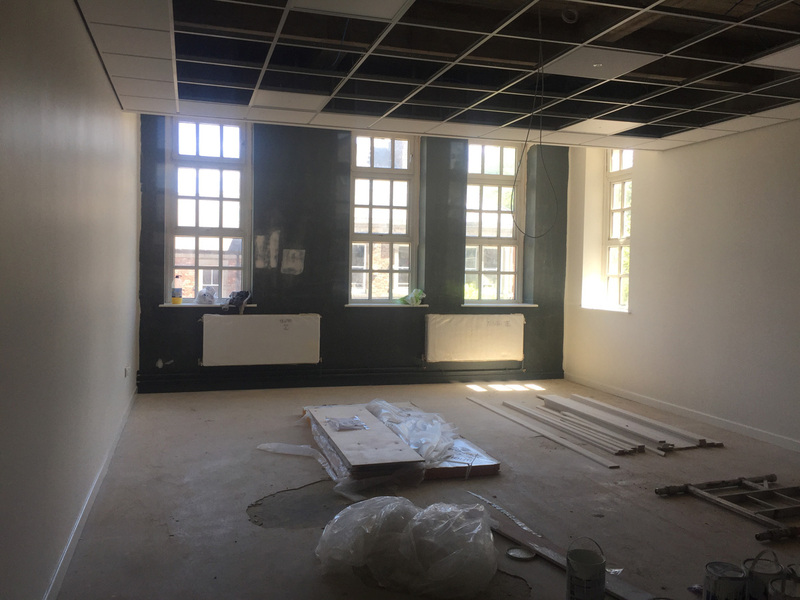 When you walked into the ICT Suite in 2014, this would have been the view straight ahead of you and, in the old Library, this is where the Librarian’s desk used to stand. Whatever else may have changed, the door, at least, is still in the same place. Room 31 has been formed from the south half of the ICT Suite; it was the Librarian’s window corner in the Old Library. From the haunch, Giuseppe took a really atmospheric shot of this very same corner of the building at the strip-out stage of the renovation. For me, it will always remain a beautiful yet haunting image. Interplay of Light & Dark: view of a room no longer in use, through a glassless window frame. All the more magical because of this? Through the world we safely go’.